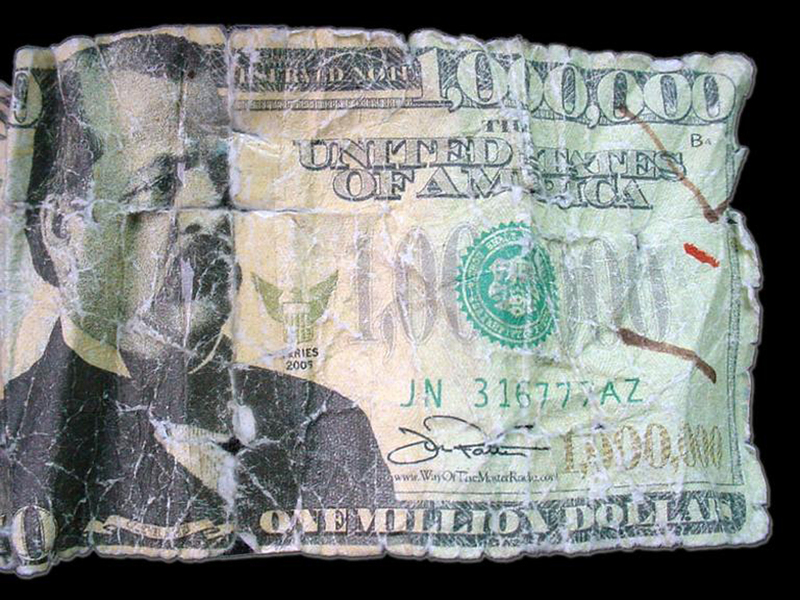 LEXINGTON, North Carolina - Do you have change for a million-dollar bill? Police say a North Carolina man insisted his million-dollar note was real when he was buying $476 worth of items at a Walmart. Investigators told the Winston-Salem Journal that 53-year-old Michael Fuller tried to buy a vacuum cleaner, a microwave oven and other items. Store employees called police after his insistence that the bill was legitimate, and Fuller was arrested. The largest bill in circulation is $100. The government stopped making bills of up to $10,000 in 1969. Fuller was charged with attempting to obtain property by false pretense and uttering a forged instrument. He is in jail on a $17,500 bond, and it isn't clear if he has an attorney. He is scheduled to be in court Tuesday.